So, after two and a bit years, I’m back to my blog. It’s had a bit of a makeover as I switched out of Blogger and into WordPress. The transition wasn’t too bad, but I lost all the comments from the old blog. Maybe that’s something I can go back and fix at a later date. Anyway, at least I have all of the blog posts from the old site. I’ve been posting some pics and things at Facebook, but the problem is, I want somewhere easier to talk about travel and save some of the pics I love to take when I’m travelling. You can do some of that with Facebook but it’s not quite the same as a travelblog. It may take a little while longer to get the site properly ship-shape and get myself back in the routine, but at least we have a good start. There are just a couple of pics I want to post here right now to re launch the blog. We had such a great time at Matt & Bianca’s wedding. We only stayed for a (long) weekend, but what a great time. I did post this pic on Facebook, but I love it so much it deserves a much better gallery to hang in. 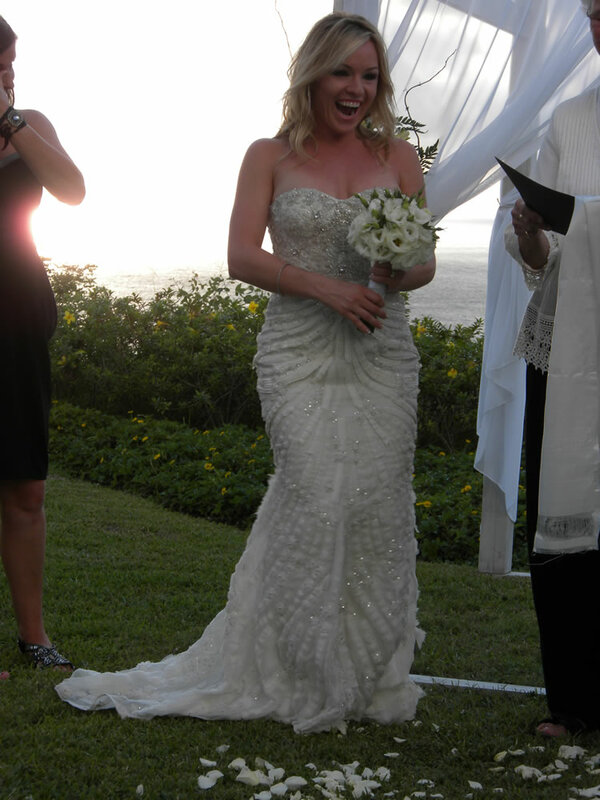 Does she look totally gorgeous and deliriously happy? I think so, yes! 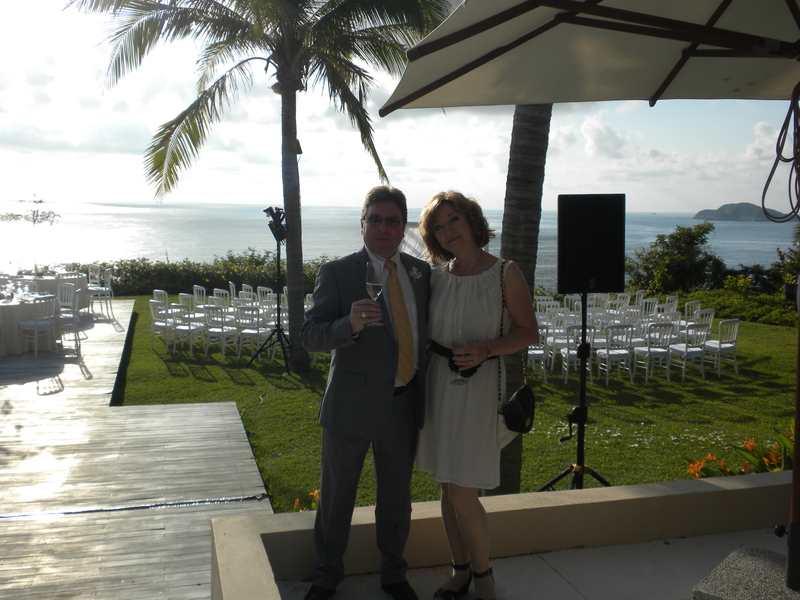 Here’s one that you very rarely see – me in a suit and my wife in a dress. Very rarely see that – it’s usually the other way around… I’m kidding… I’m just totally not a suit kind of person and the wife is much happier in pants than a dress. And on the subject of suits, here’s me in the one I was born in hanging out in the private pool of the villa we stayed in at the hotel.